You are here: Home / KE2 Summer Sales Ends Sept. 28th, 2018. The KE2 Temp includes RS-485 and can now be accessed remotely using the KE2 Local Area Dashboard and Alarms (KE2 LDA). The KE2 Temp + Defrost alerts the user with an onboard display when it is coming out of a defrost cycle. 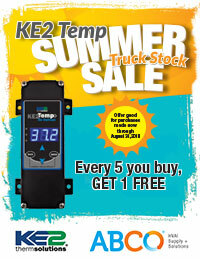 Free controllers will be sent by KE2 Therm directly to you after the promotion. 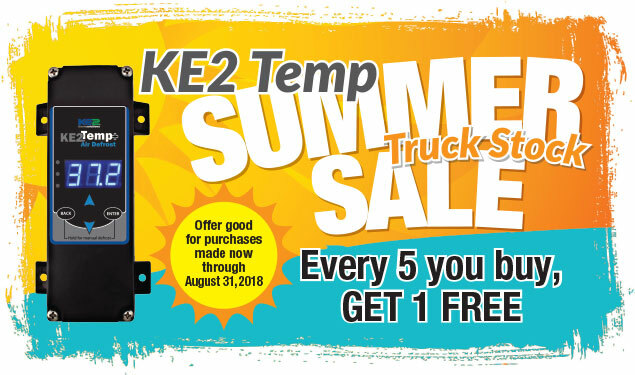 Simply email proof of purchases to orders@ke2therm.com by September 28, 2018.